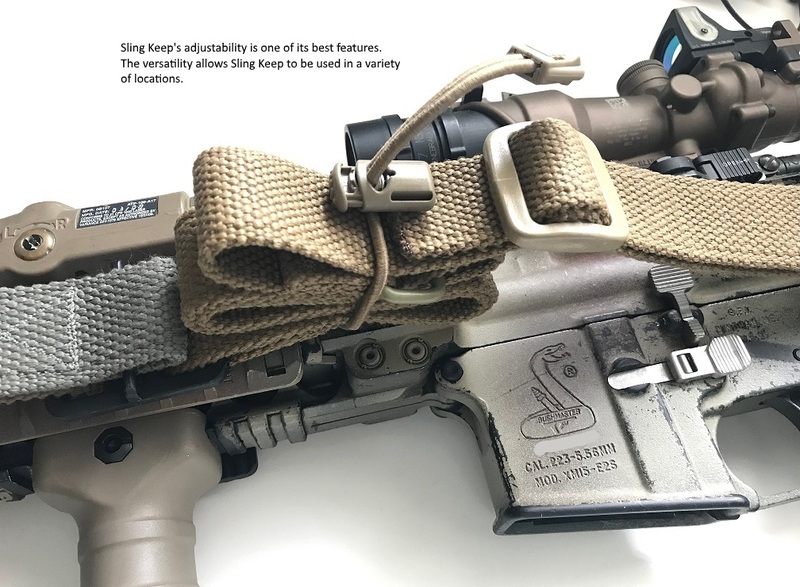 Sling Keep A consists of a 10" long, 1/8" diameter elastic shock cord, an ITW GTSP Cordloc for adjustability, and an ITW Zipcord to cinch the ends. 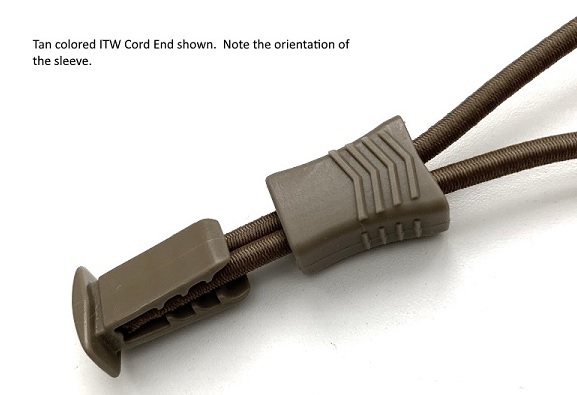 You're likely to find ITW components on your mil spec clothing. 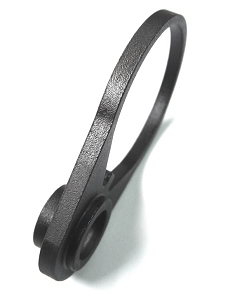 We want to make Sling Keep inexpensive, but that doesn't mean cutting corners by using cheap components. 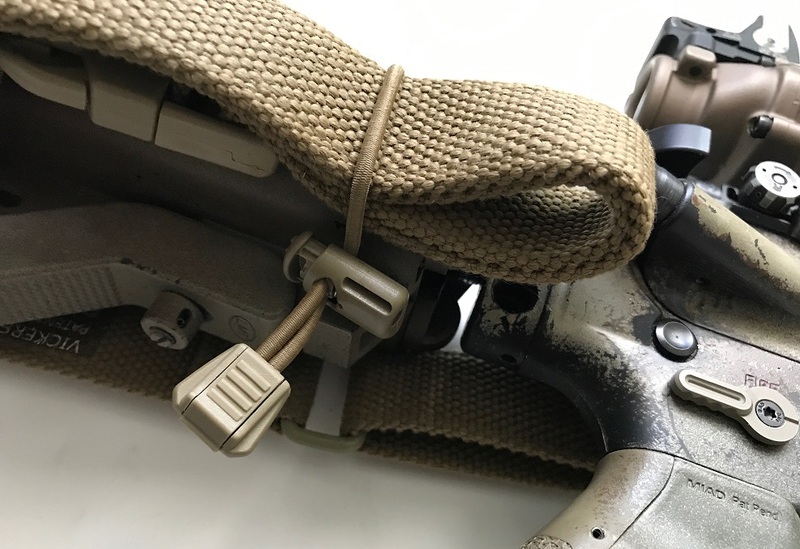 The supplied length of the 1/8" elastic shock cord is longer than necessary to give the user the freedom to shorten it if necessary (we trim ours to 9" for SOPMOD stocks). 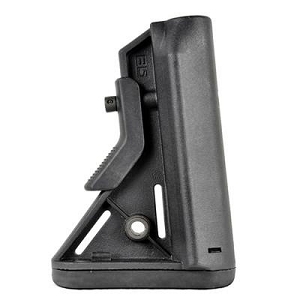 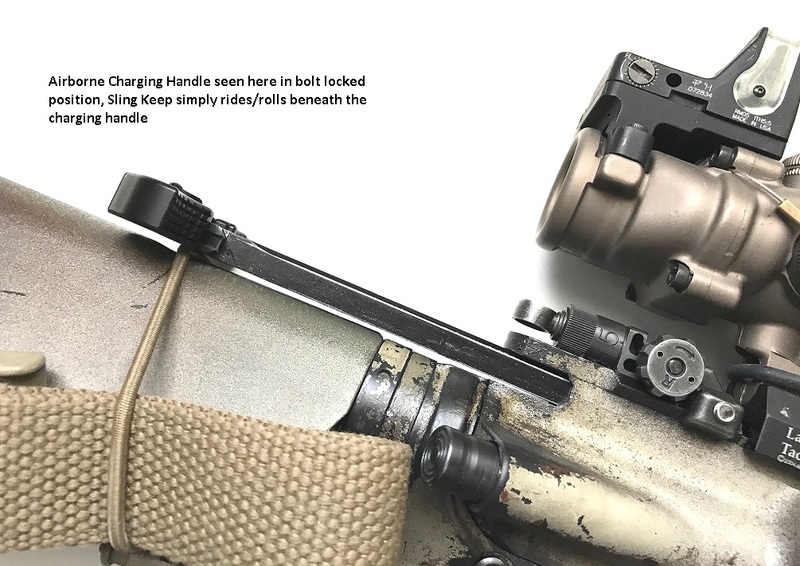 Our favorite place for Sling Keep on a SOPMOD stock is through the hole ahead of the stock release latch, or the horizontal slot below the stock. 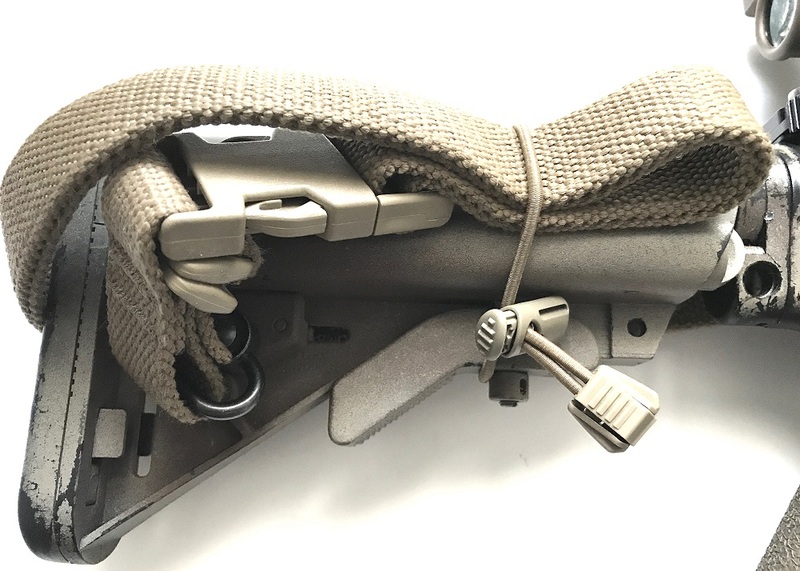 To prevent Sling Keep from unduly moving on the stock, it's best to loop it through a slot, or against anything that acts as a stop, and adjust its length with the Cordloc so it's always under tension. 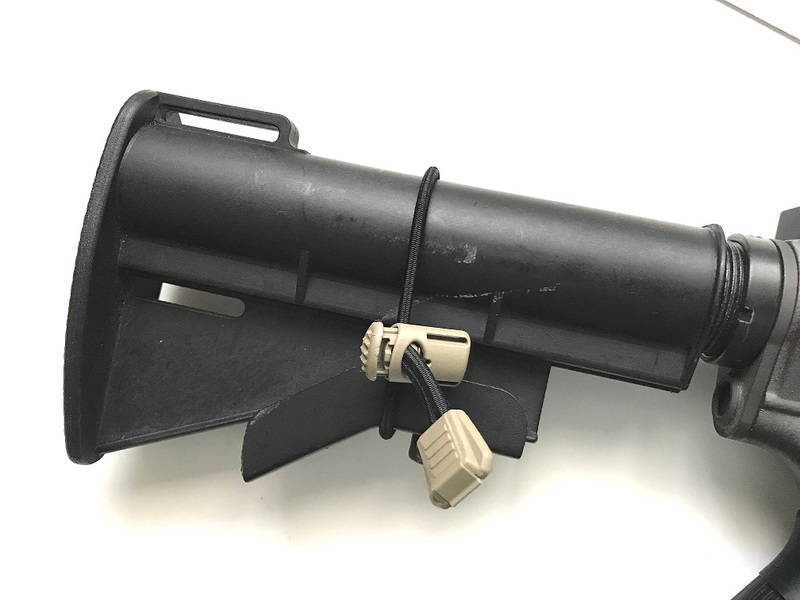 Color of all components is customizable. 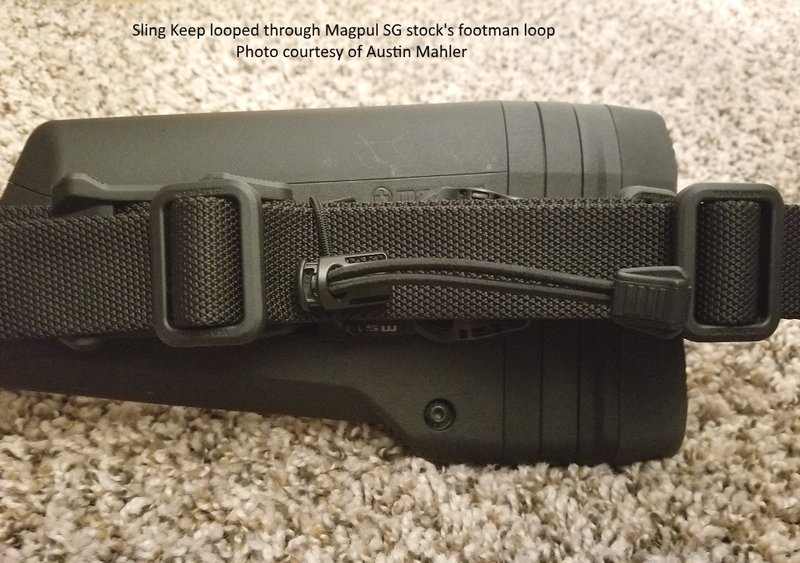 Sling Keep A is shipped partially assembled. 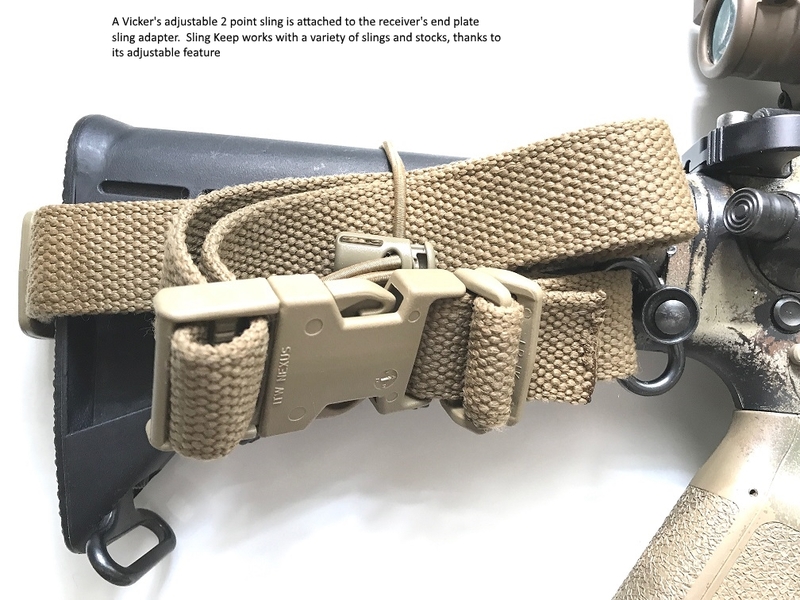 Once the user loops the shock cord through a hole or slot, and trims the cord to fit (if necessary), the supplied Zipcord can be used to close up the ends. 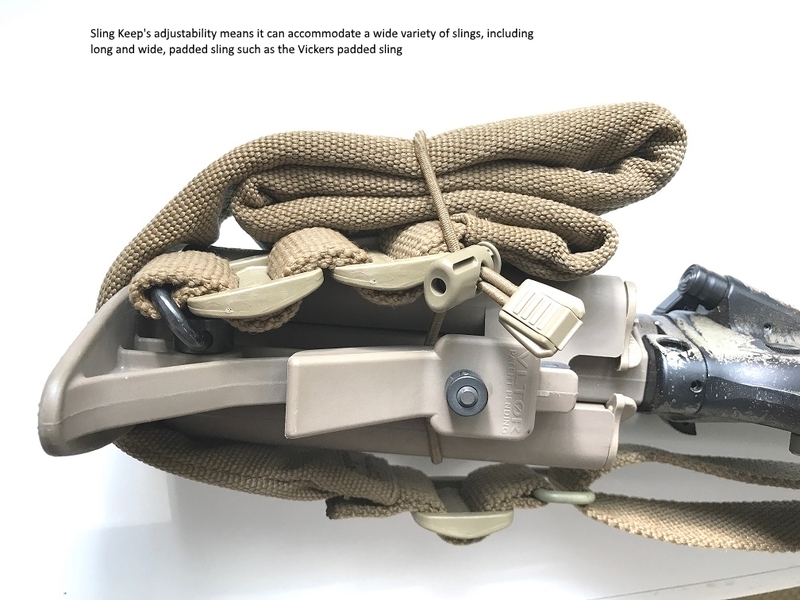 If the shock cord is cut to fit, we suggest using a lighter or torch to burn and seal the tips to prevent fraying. 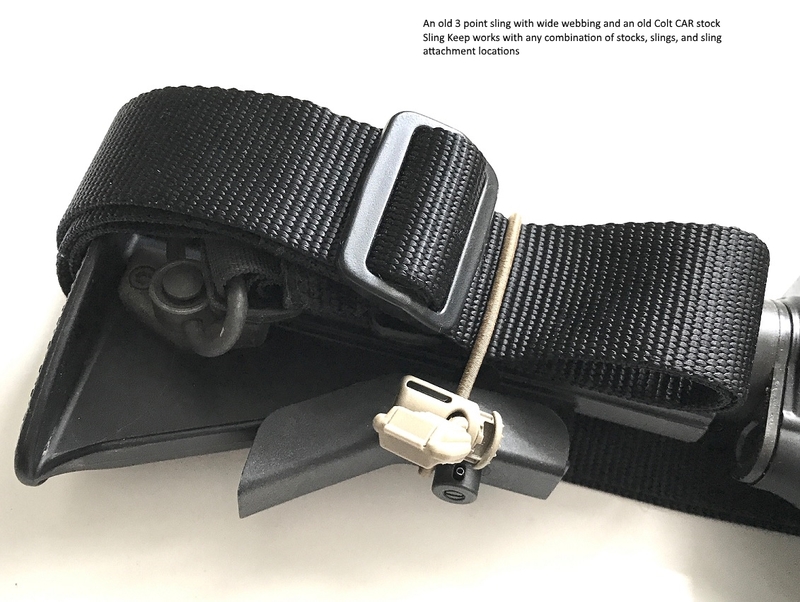 Due to its low cost, free shipping isn't included (shipping cost exceeds Sling Keep's MSRP.) 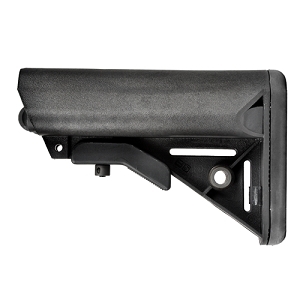 The best way to acquire it is to add it to other items in your order. 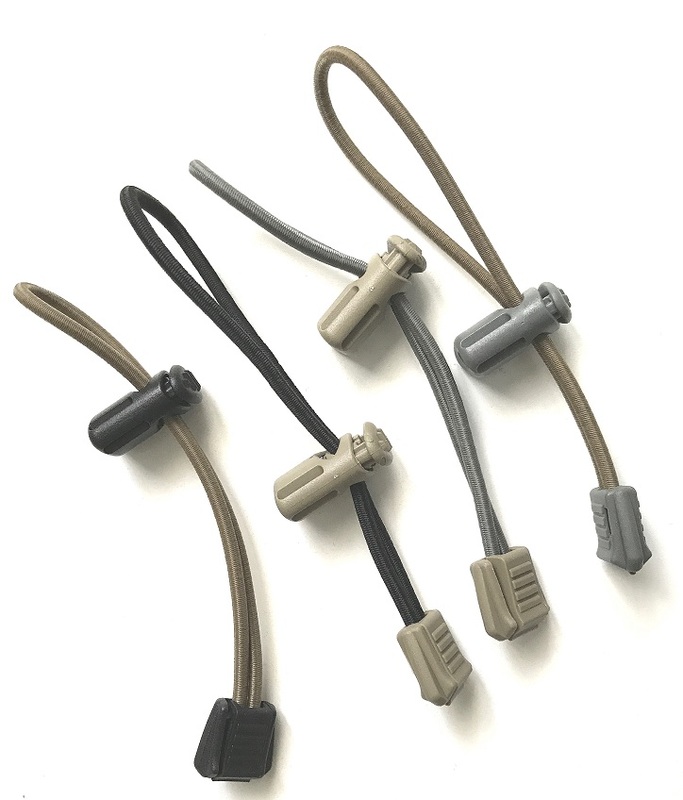 We may use Cordloc (single piece) and Cord End ( two-piece) interchangeably, depending on what we are able to source.